Nashville’s airport will be a landing spot for baseball executives from the majors and minors this weekend. It is the time of the year for Baseball’s annual Winter Meetings, version number 106. The Gaylord Opryland Resort and Convention Center will be packed with baseball people and media. Over 400 members of the media, the largest number ever, will fill the media center five days starting on Sunday. Trade rumors and free agent signings will dominate the sports news for days, a phenomenon other pro sports can’t come close to matching. Starting on Monday, major league managers will be brought to the media center. One from a team in each league will be interviewed for 30 minutes. Then, two more will follow. Charlie Manuel and Terry Francona are scheduled for 9:30 a.m. on Wednesday. These sessions are designed to provide copy for newspapers, sound bits for radio and video for TV. The Baseball Hall of Fame Veterans Committee has announcements on Monday and Tuesday, which is great. It will help take the spotlight away from agents peddling their clients. The winter draft, Rule 5 to be specific, will take place at 9 o’clock Thursday morning. Pat Gillick, Ruben Amaro Jr. and Mike Arbuckle will head the Phillies delegation. Priorities remain pitching, a starter and a reliever. Another outfielder is on the radar, but pitching commands the most attention. A lot of talk has already taken place. Next week is the time the talks intensify. But, keep in mind, improving the team isn’t something that has to be done next week. That is an on-going process that continues through spring training. Beat reporter Ken Mandel will provide daily overage on this site. I’ll mix in some behind the scenes goodies and Scott Palmer will be filing video reports for four days starting Monday. So, visit this site often. A reader felt the new alternate, cream-color uniforms the Phillies will wear for home day games, were ABSOLUTELY HORRIBLE. The person felt they looked like pajamas. Receiving reactions is great. I have no problem with that. I may not always agree but feedback is welcomed. 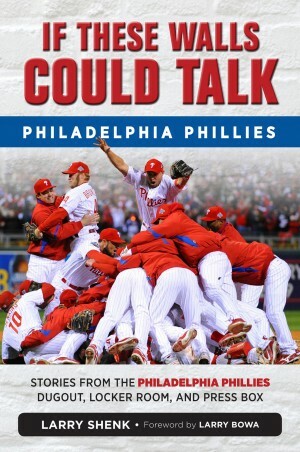 Perhaps our promotion team can whip up a sleep over at Citizens Bank Park. Everyone, including the players, could wear their PJs. For the first time since 1949, the Phillies will take to the field for a home game and will not be wearing red pinstripes. As many of you are aware, the Phillies this afternoon introduced a new alternate uniform that will be worn at Citizens Bank Park for day games starting on April 3. You can check the Photo Gallery on the main page of this site for still photos and click on “Phillies Unveil New Uniform” for video. The Press Release is also posted on the home page. The event was a production by a great team of front office personnel. Another great Phillies production. Media coverage was terrific. Jimmy Rollins, Chase Utley and Robin Roberts posed for numerous photographers and did one-on-one interviews. In addition, Pat Gillick, Ruben Amaro and Mike Arbuckle did a flood of interviews with baseball’s annual winter meetings coming up next week. I’ll have more about that subject in a day or two. Part of the noon-time show as a preview of the Phillies 2007 video home companion (fancy name for a highlight film). The title of the video is “Goosebumps.” Video Dan Stephenson did an outstanding job again as (1) writer, (2) producer, (3) director and (4) trusty camerman. There’s a lot of talk in baseball that a player is “a five-tool player”. Well, video Dan is a five-tool video expert. I just can’t figure out his fifth tool. Seeing a 13-minute excerpt of the video produced not only goosebumps but tears. That final week of the season had to be on the greatest weeks in Phillies history. The video certainly made me hungry for baseball again. Frank Coppenbarger, the Director of Team Travel, sent out an e-mail this afternoon, the most welcome e-mail we receive from his fingers: “The equipment truck to Clearwater will leave on February 7.” Can’t wait. Oh, one last thing: the new jerseys and caps are on sale now and Goosebumps will be available starting December 8. Had to get in that commercial. 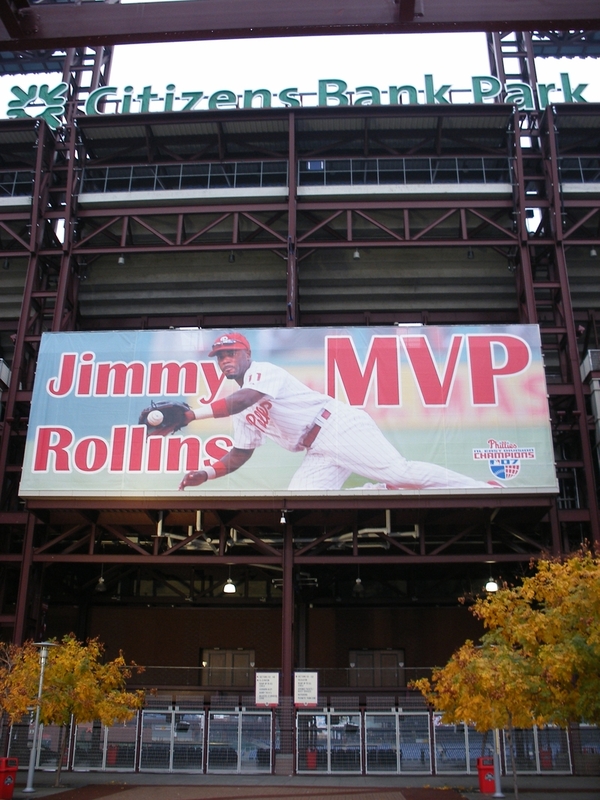 Leftovers from yesterday’s MVP Award for Jimmy Rollins…. **Last time teammates won back-to-back MVP Awards in the NL was 2000-2001, Jeff Kent and Barry Bonds of the Giants. **Last time two home-grown players have done the same, 1978-79, Dave Parker and Willie Stargell of the Pirates. **Jimmy is the second Encinal High School product to win the NL Award. The other was Stargell. **Jimmy joins Marty Marion (Cardinals, 1944), Ernie Banks (Cubs, 1958 and 1959), **** Groat (Pirates, 1960), Maury Wills (Dodgers, 1962) and Barry Larkin (Reds, 1995) as NL shortstops who have won the Award. Speaking of leftovers, Happy Thanksgiving. Leave some turkey for sandwiches on Friday! First, Jimmy Rollins won a Gold Glove, then a Silver Slugger and this afternoon, the Baseball Writers Association of America announced that he is the National League’s Most Valuable Player. So, what goes on behind the scenes on a day like today? The BBWAA kept it a secret until shortly before the 2 p.m. official announcement. The BBWAA called Leigh Tobin in our office for Jimmy’s cell phone and then called the Phillies shortstop who is in Los Angeles. The last two years, Ryan Howard won the Rookie Award (2005) and the MVP (2006). In each case, Ryan was in Philadelphia on the day of the announcement. Jimmy had business on the west coast and was unable to be at Citizens Bank Park for a media conference. Alternate plans had to be made. It was a simple case of rolling the dice for J-Roll. 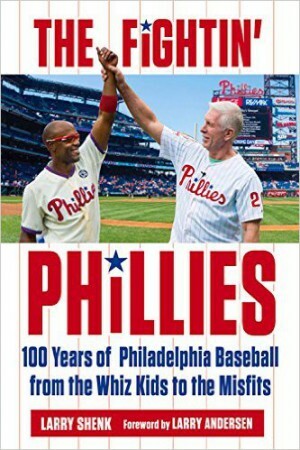 Through modern technology, arrangements were made for Jimmy via a satellite video conference with Philadelphia media, Rollins in an LA studio and the media at Citizens Bank Park. That was set for 4 this afternoon, an hour after his telephone conference call with BBWAA members. **A large (25’x75’) Jimmy Rollins MVP banner was displayed at Citizens Bank Park’s Third Base Gate right after 2 o’clock. **The various Phillies video boards in the Sports Complex flashed the news. **The PECO building in center city is displaying “Congrats Jimmy Rollins MVP” in lights today, tomorrow and next Monday and Tuesday. **The Cira Centre will illuminate the Phillies “P” from Sunday through Wednesday of next week, courtesy of Brandywine Realty Trust. **A Citizens Bank billboard will salute Rollins from November 30 through December 14. **Another MVP banner, this one 60’x20’, will be displayed at City Hall. **Mayor John F. Street will honor him at City Hall, probably on Monday. **That same day, Jimmy will visit Olney High School to unveil a new J-Roll MVP Computer Lab. Jimmy has purchased computers for the lab, another one of his charitable involvements in the community. Looking into a crystal ball for 2008, Chase Utley will keep the award in Philadelphia. What a trifecta that would be. During the organization meetings at the end of last month, the Phillies targeted pitching as their primary goal for the off-season, a point which isn’t new to anyone. As has been mentioned previously, the free agent starting pitching market is as thin as a razor blade. Signing a free agent pitcher for multiple years at major bucks can hurt as much as a cut from a razor blade. Getting a quality closer would allow the Phillies to move Brett Myers back to the rotation. Various options were discussed, including free agents. The focus then shifted to trading for a closer and Brad Lidge’s name came up. Scouts who had seen him during the second half said he was really tough, a biting slider and a plus fast ball. His numbers are awesome: 88 strikeouts in 67 innings (54 hits) and a 2.89 ERA over his last 53 outings. We began discussions with Houston as the Astros have some bullpen depth and when Lidge’s name came up yesterday, things began to heat up. The PR department first got wind late yesterday afternoon that a deal was warming up. With medical records to review and the need to contact the players involved, the deal was announced around 10:30 last night. Early in the season when Tom Gordon went down with an injury, the Phillies felt they had to get creative to fill his vital spot. That’s when the decision was made to move Brett to the pen. The decision was viewed as “panic”, “desperation” by many but in the end, it was the best move for the ball club. With the bleak free agent market, we again became creative to improve the staff. Lidge is quality and Brett is better than any starter on the market. Eric Bruntlett’s versatility fills Abraham Nunez’ role. Eric’s ability to play shortstop is appealing because Jimmy Rollins played every game last season. A rest now and then would be beneficial to Jimmy. The message board has mixed reviews, which is fine. Some are concerned that we gave up the future for winning now. Well, the goal of this organization is to win a world championship. I know the fans feel that way, too. Remember, to get quality, you have to give up something. Adding another bullpen piece and another starter is still on the shopping list. Getting another outfielder has entered the picture, especially if Aaron Rowand signs elsewhere. Not wanting to wait until the winter meetings next month to improve the club, we were proactive yesterday, pulling off the first major deal of the off-season. There’s buzz on the message board now that Pat Gillick said the Phillies don’t have third base on a high priority. As Pat has indicated pitching remains the priority, a very high one. You’ve read it here and elsewhere, getting quality pitching is going to be very difficult. The Mets are looking for an innings-eater starter. Welcome to the club. I can understand the buzz that the Phillies didn’t get enough offensive production out of third base. What people tend to forget, the Phillies get sky-high offensive production out of shortstop and second base, two positions that are weak on many, many other clubs. The Silver Slugger Awards will be announced on Friday. If Jimmy Rollins and Chase Utley don’t win (offensive excellence at their positions), then they need to reconsider the parameters of the awards. The numbers that pair put up and will continue to post, give the Phillies a huge edge. Pitching—starting, setup or relief. That remains the major shopping list.